girlnextdoorfashion: running, food, lifestyle, lipstick: Very Top Giveaway!! 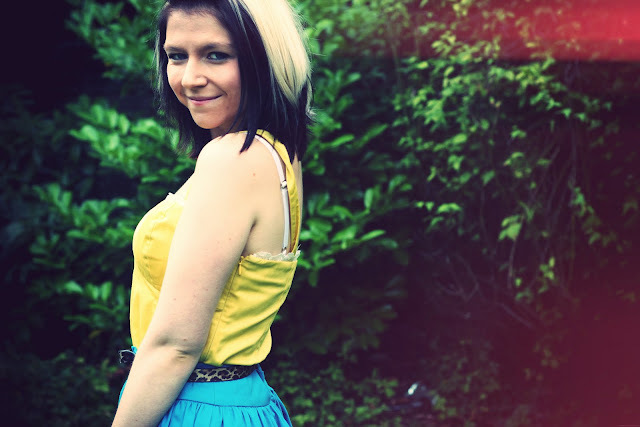 I am offering one of my lucky readers the Yellow Corset Top I wore on my blog on Wednesday. This top is absolutely gorgeous and perfect for with high-waisted shorts or skirts. It's great on it's own for Summer, but would look fab with a blazer or cardigan when the weather cools down. The top is the UK size 10 (US size 6), but I think would fit a size 8-12 (US 4-8) and is brand new!! Interested? Here's what to do!! This giveaway is open to UK, US and all International Readers. I am happy to send this top anywhere in the world. The closing is now 8th September. So what are you waiting for? Get entering!! The Bird Embroidered Vintage Skirt is so pretty! I'm in love with embroidery lately. my favorite item is Diana Vickers Dog Print Playsuit. it's look so cute ! Wow, that top is adorable. I also love the knitted mini dress! :) I follow you through GFC & Bloglovin. Like the vintage floral dress..